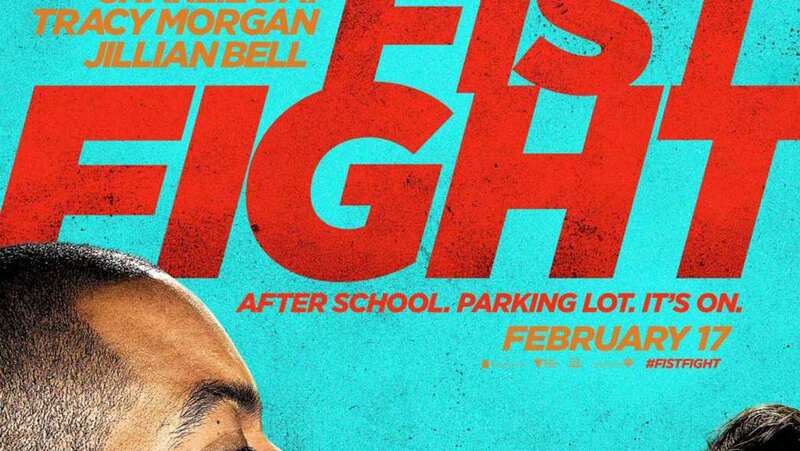 Red Band Trailer for Fist Fight. After high school teacher Andy Campbell accidentally gets his colleague Ron Strickland fired, Strickland challenges him to an after school fight. Fist Fight is based on the 1987 high-school comedy film Three O'Clock High, directed by Phil Joanou. The film was actually based on Writers Richard Christian Matheson and Thomas Szollosi's high school experiences in California. And, there is one main difference between the two films, Three O'Clock High features a fight between two high school students whereas Fist Fight features a fight between two teachers. Warner Bros is also hoping there will be one more main difference between the two films, how successful they are at the box office. Three O'Clock High opened in 849 theaters nationwide on October 9, 1987 and earned only $1.5 million during the opening weekend. The total lifetime gross of the film is approximately $3.6 million. 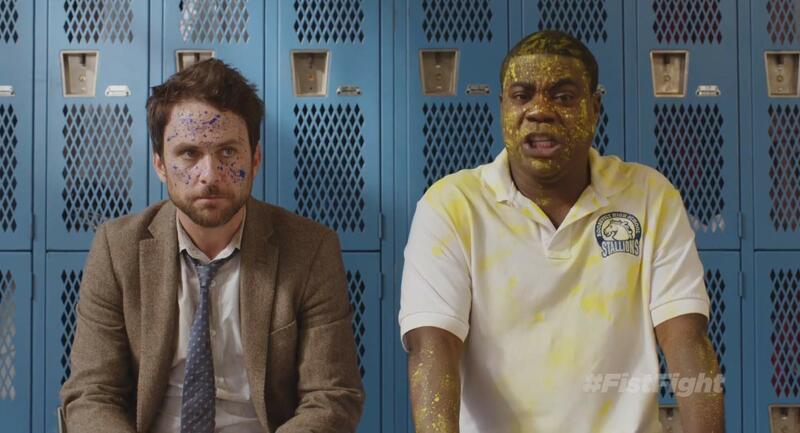 This red band trailer for Fist Fight has turned me into a fan. The trailer have progressively gotten better for this film with the red band far surpassing the previous ones. The first trailer was lackluster and did not do a great job at introducing the film. We did not even really know why the two teachers were fighting until the second trailer. And, now we get this red band trailer which introduces a totally different feel for the film. There is so much new raunchy footage in here that almost changes the tone of film completely for me. It almost like the first trailer and this one are for two totally different films. So, I have done a 180 on this film and gone from skipping it to possibly seeing it in theaters and definitely watching on Demand.